The R.M.S. 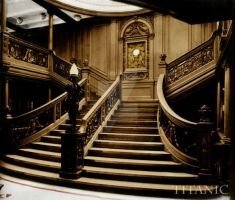 Titanic's First Class Grand Staircase (forward). 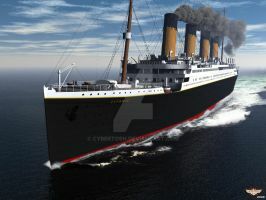 Built, mainly as a reference model, for the Titanic Mod for the game "Mafia". A view on A Deck. Download image for best view. So, when is your mafia mod coming out? Whoa, nice. Really good job on the texturing here. it´s realy good. what effect is it? may i use this for a drawing?